The South Auckland Research Centre has recently added 1142 photographs to our image database Footprints. To date this database now includes a selection of over 8000 photographs and other images relating to South Auckland, and adjoining areas. 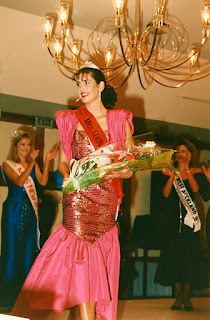 A sample of thirty-two photographs from the Beauty Pageant Photographic Collection, donated by beauty pageant organiser Val Lott, has been added covering the years 1990 – 2003. 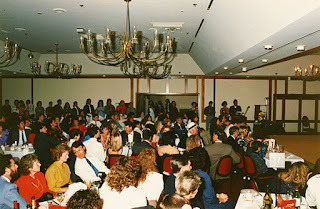 Ref: Val Lott, Beauty pageant, Māngere, 6 May 1990, photograph reproduced courtesy of Val Lott, South Auckland Research Centre, Auckland Libraries, Footprints 07210. 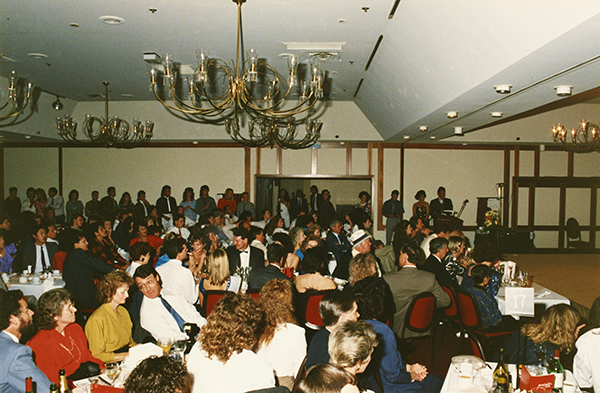 Ref: Val Lott, Beauty pageant, Māngere, 6 May 1990, photograph reproduced courtesy of Val Lott, South Auckland Research Centre, Auckland Libraries, Footprints 07209. 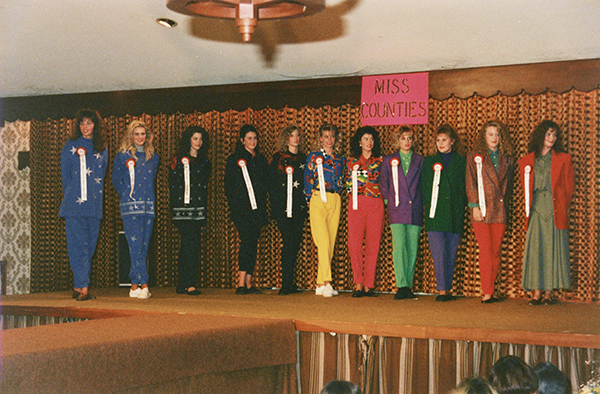 Ref: Beauty pageant, Pukekohe, 24 May 1992, photograph reproduced courtesy of Val Lott, South Auckland Research Centre, Auckland Libraries, Footprints 07223. There are some wonderful titles given to contestants relating to the sponsors of these events, which include ‘Miss Park in the Bar’ and ‘Miss Stomping Penguin Hairdressers’ (below). Ref: Beauty pageant, Howick, 1998, photograph reproduced courtesy of Val Lott, South Auckland Research Centre, Auckland Libraries, Footprints 07229. Val coordinated Miss Howick, Miss Counties, Miss Auckland, Miss North Harbour and Miss New Zealand Asia Pacific, and from 2006 – 2012 Miss Universe New Zealand. Under her guidance several contestants have won the Miss New Zealand title, and represented New Zealand in international pageants, where some placed in the top five. 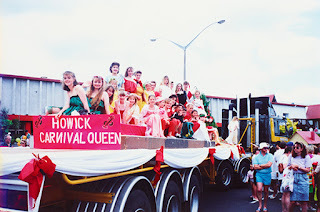 Ref: Val Lott, Carnival Queen float, Howick, December 1991, photograph reproduced courtesy of Val Lott, South Auckland Research Centre, Auckland Libraries, Footprints 07228. 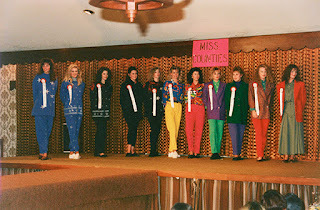 Ref: Val Lott, Beauty pageant, Howick, 8 April 1990, photograph reproduced courtesy of Val Lott, South Auckland Research Centre, Auckland Libraries, Footprints 07205. 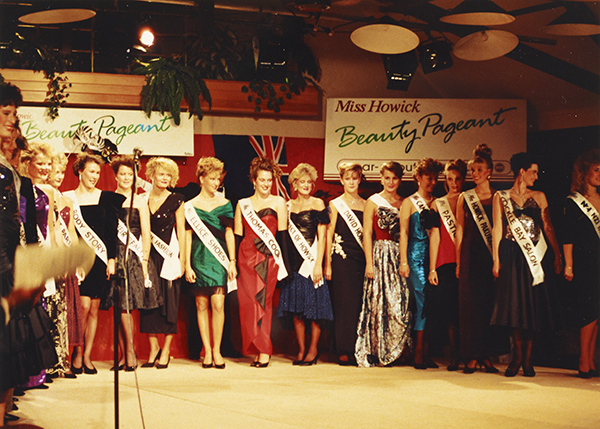 Ref: Beauty pageant, Howick, 7 July 1997, photograph reproduced courtesy of Val Lott, South Auckland Research Centre, Auckland Libraries, Footprints 07231. Ref: Beauty pageant, Panmure, July 2000, photograph reproduced courtesy of Val Lott, South Auckland Research Centre, Auckland Libraries, Footprints 07237. The Beauty Pageant Photographic Collection contains six scrapbooks, thirteen photograph albums, newspaper clippings and items of ephemera relating to fashion parades in Howick 1984 – 1986 and Miss Howick and national and international beauty pageants from 1988 – 2012. We’re sure this collection will be of great value to fashion and design students as well as those interested in social and local history.